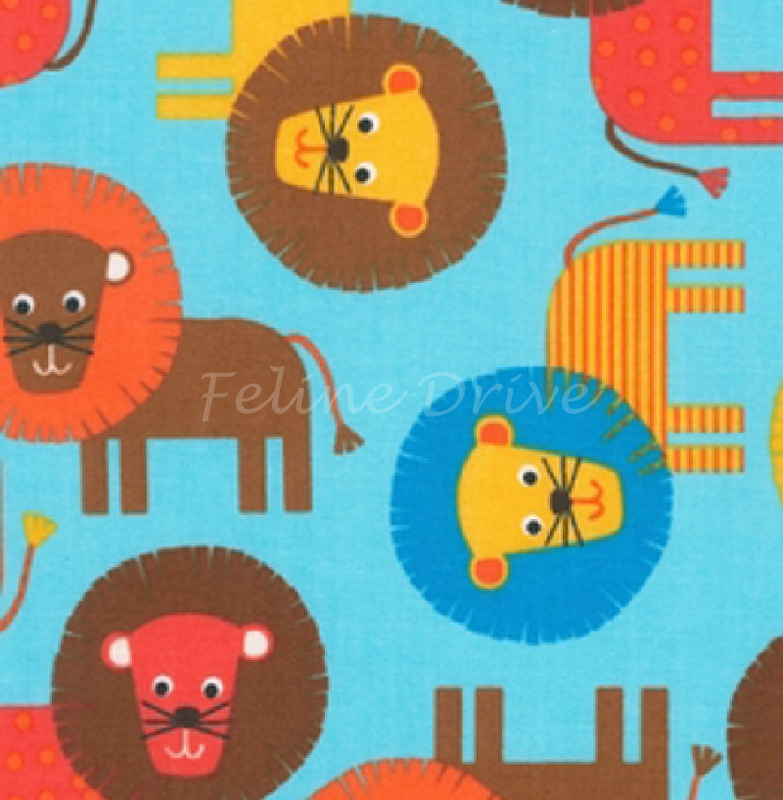 Ann Kelle's designs have been described as simple, sweet, and sassy, and these lions exactly fit that description. 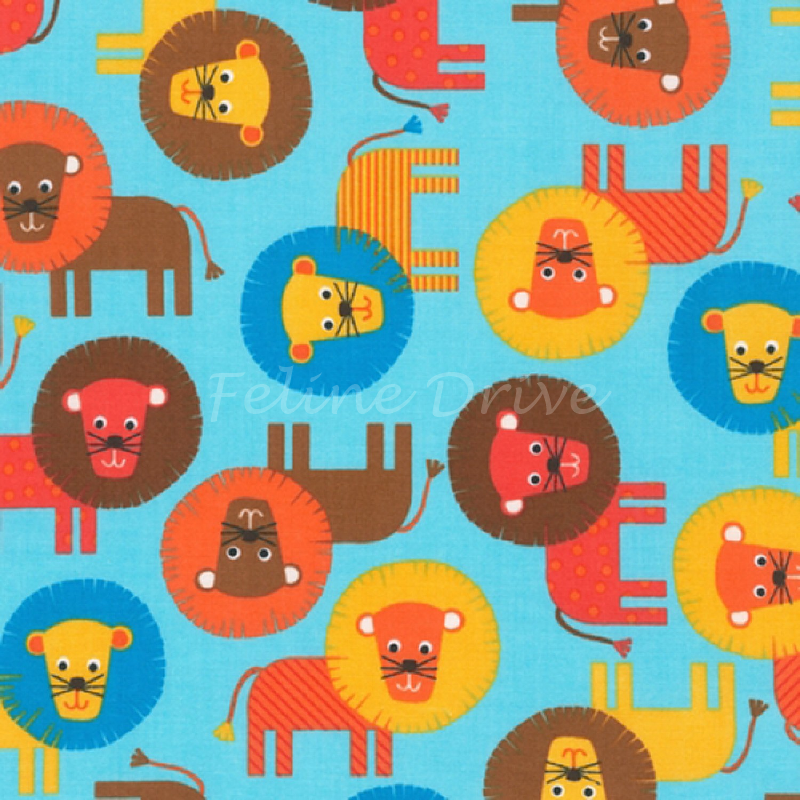 Sweet lions on a blue background. Print Size:Lions are approximately 2.75" long, including tail.